We are often asked whether or not to seal your outdoor pavers. The short answer is prevention is most often better than the cure. Sealing pavers is of course optional however highly recommended. You certainly don’t have to do it but if you would like your pavers to stay clean and look "newer" for longer, sealing is recommended. Both old (cleaned) paving and new paving once dry can be sealed. Sound like hard work? Well - you don't have to do all the work, some pavers on the market are pre-sealed, so the manufacturer has taken the work out of it for you. Water based sealers and solvent-based sealer's can both be used on outdoor pavers, however unless absolutely required for a specific reason, we always recommend applying a water based sealer that is UV resistant and won't alter the slip resistance of your outdoor surfaces. Water based sealers do not produce dangerous fumes on application and removal, are a lot easier to apply and remove and also require less drying time. It is important to know which type of water based sealer to use on your outdoor pavers, as many water based sealers will not last long outside as they are designed for internal use, therefore it is important to use water based sealer that is specifically designed for outdoor use. You should always ensure that your pavers are completely clean before you attempt to seal the pavers. This will protect the appearance of the pavers, and help to ensure there won't be any dirt or other debris permanently caught under the layer of sealant. Penetrating sealers work by entering into the substrate and protecting your pavers from within. They deposit either a natural or synthetic resin into the pore structure of the pavers and after the sealer has been applied, the water or solvent (carrier) evaporates and leaves the resin within the pores of the paver. The resin then hardens to form an invisible protective barrier that prevents the pavers from absorbing unwanted matter. One of the major benefits of penetrating sealers is they allow the stone or tile to breathe and will never peel or scratch. 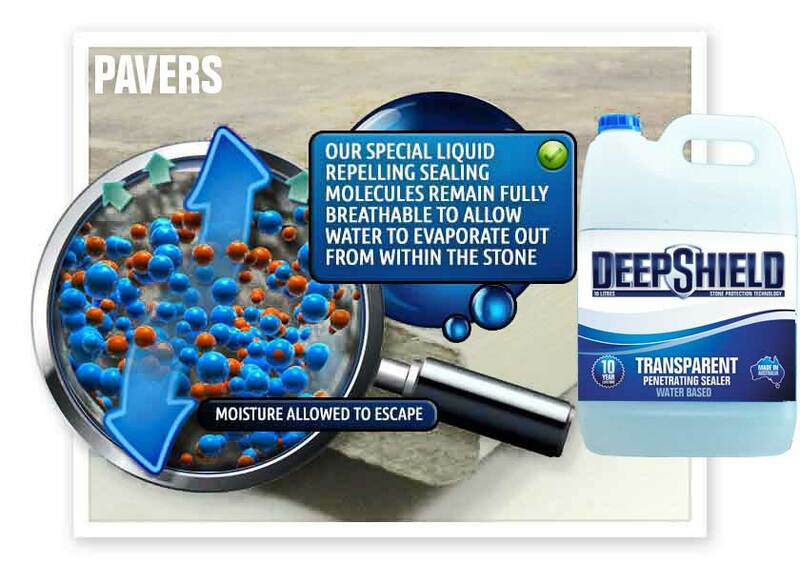 Tile Cleaners Brisbane® seal pavers using Australian Deepshield™ Deep Penetrating quality impregnating breathable water based sealers which are UV resistant and importantly won’t alter the slip resistance of your surfaces, providing long-term stain resistance and reliability. A deep penetrating impregnating sealer protects outdoor pavers and grout from water and oil based stains by chemically reacting with the surface pores to create a breathable protective barrier. 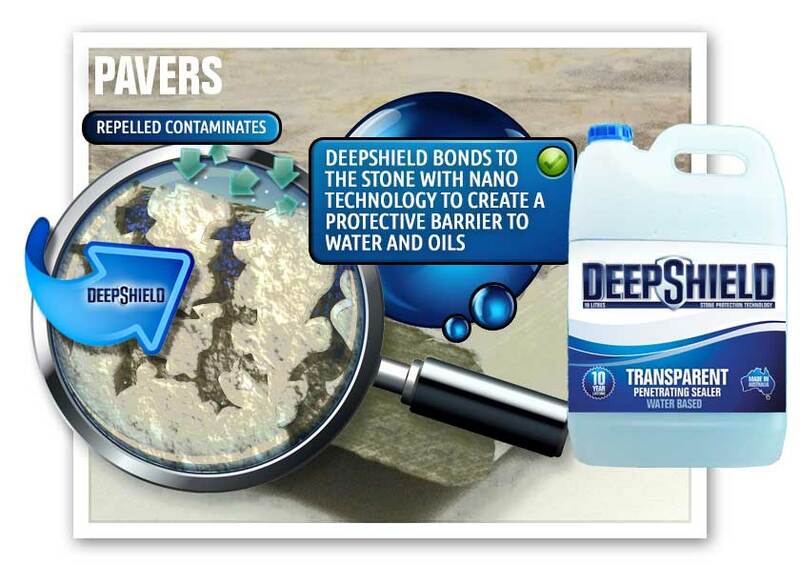 An impregnating sealer such as Deepshield™ protects your outdoor pavers from absorbing stains while also resulting in cleaning and maintenance becoming much easier. A penetrating impregnating transparent sealer enters the pores of your pavers and once cured will not change the look of the surface whereas a penetrating colour enhancing sealer is designed to enhance and enrich the natural look of stone surfaces. 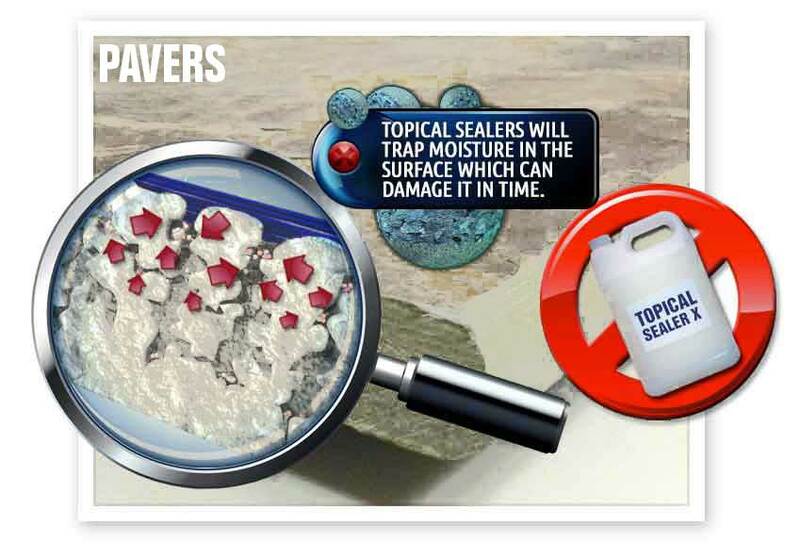 Topical Sealers form a film on the top of the substrate and provide a coating that protects against damage. 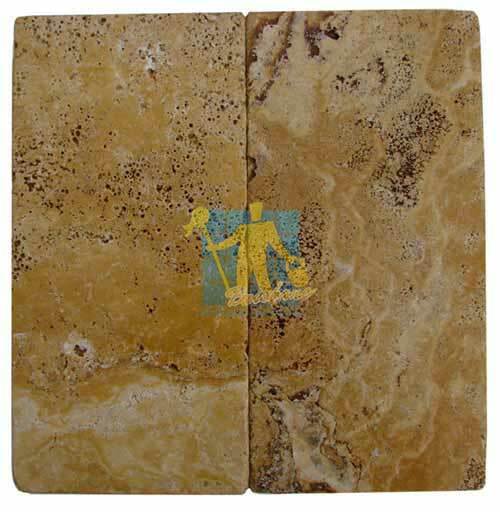 The purpose of the sealer is to reduce the natural absorbency of your tile so foreign materials will not sink in, instead remaining on the surface until they can be wiped away. Solvent based products are more difficult to apply and can create major problems when applied incorrectly as they are very hard to remove. 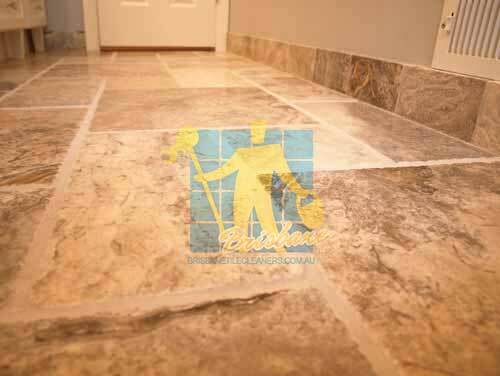 Tile Cleaners® recommend our clients apply a long lasting water based sealer to their outdoor tiles. Topical sealer's (glossy plastic coating over the top of the tiles) are still used on outdoor tiles, but these older style sealers can trap moisture in the stone and make the surface slippery when wet. When a topical sealer wears in higher traffic areas, the entire surface usually needs to be stripped and re-sealed. 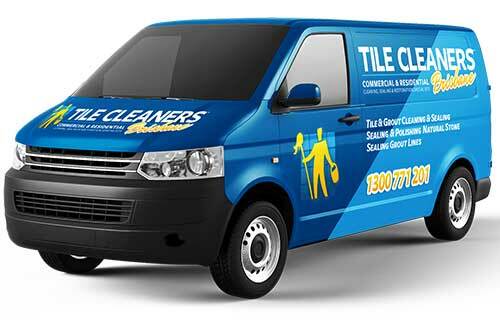 Tile Cleaners Brisbane® take pride in all services we offer. We are an advanced service provider using premium chemicals and sealers for all surfaces. The concrete sealers we use have been specifically chosen for maximum protection and beautification of your areas for years to come. Patterned or coloured concrete pavers look amazing when they are new. Unprotected, they can immediately begin to fade due to UV damage and quickly discolour when penetrated by foreign matter. Tile Cleaners Brisbane® recommends protecting concrete which also ensures your areas are much easier to manage and clean. To provide the best possible protection from oil and water-based stains; to maintain the look and slip resistance of your outdoor surfaces and to prevent damaging moisture from being trapped within the pavers, they should be sealed with a high quality, invisible, fully breathable impregnating sealer. When your tiles begin to appear dull and start to stain easily, that usually means your previous sealer is wearing off and your tiles are in danger of permanent damage. 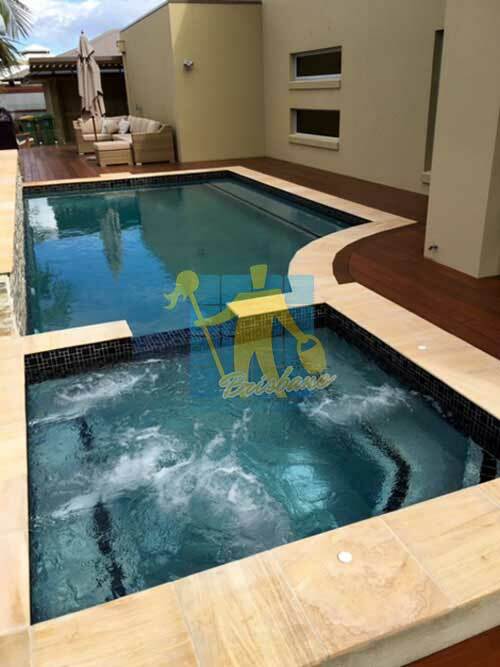 Tile Cleaners Brisbane® strip/remove all necessary old sealer from your pavers, restoring their natural fresh look by using solvent free products our state of the art cleaning machinery. 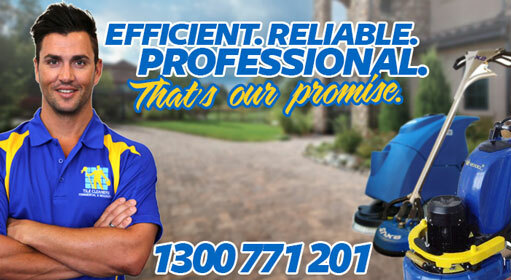 Tile Cleaners Brisbane® provides outdoor paver sealing & outdoor paver stripping and sealing services. 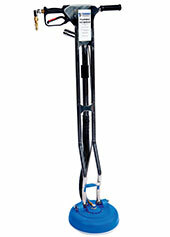 Our team is equipped with the latest & best products and equipment. No matter where your outdoor pavers are, Tile Cleaners Brisbane® will strip, clean and professionally reseal them for you. Call now on 1300 771 201 for more information. call 1300 771 201 today or use our online enquiry form. What sealer should I use and how far will it go? There are a number of different brands of sealer available to you. 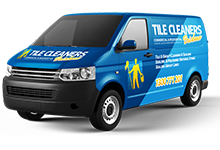 At Tile Cleaners Brisbane® we use only the best, proven sealers. The type of sealant will vary from penetrating to surface based matte & gloss. Call our friendly and knowledgeable customer service to see which sealer is best for your surface. The type of paving and its usage will determine the most appropriate sealing product. It is obviously cheaper to do it yourself, but make sure you have the right equipment, as sealing over dirty pavers will permanently stain them. Ensure you use the correct safety gear and mind your pets and family members. Please read all instructions thoroughly, as many sealants are toxic. If you have purchased paving and would like to seal them there are a few options available. You should check with the manufacturer of the sealer and paver as to what is best suited to your product. Sealing will definitely extend the life and look of your pavers and the initial work and expense will add life and lustre to your newly laid pavers.